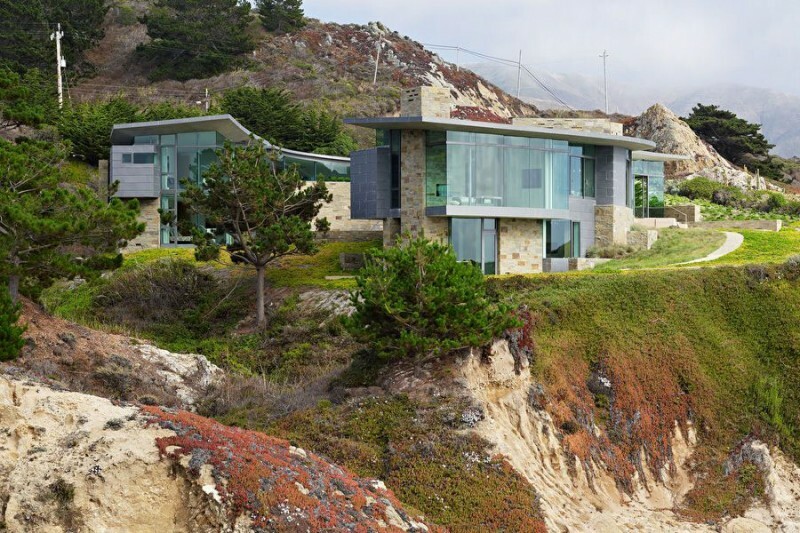 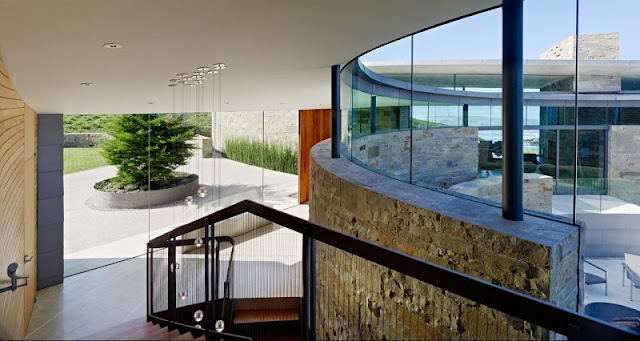 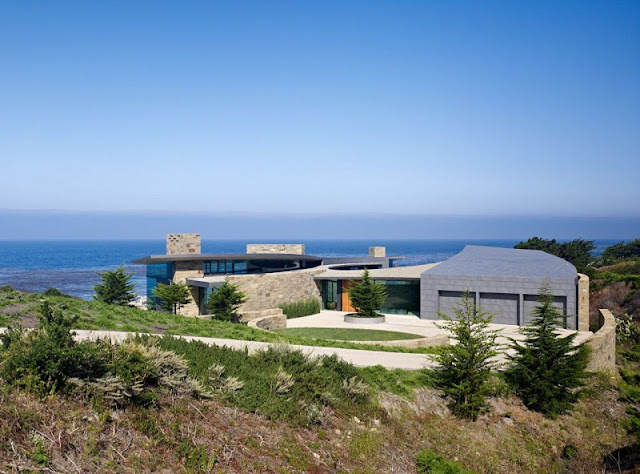 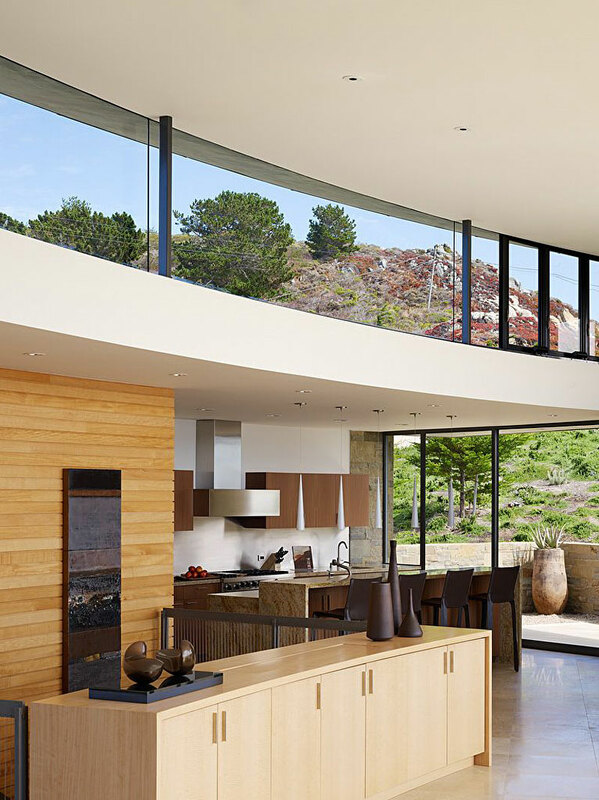 Carmel, California is home of this outstanding modern house. 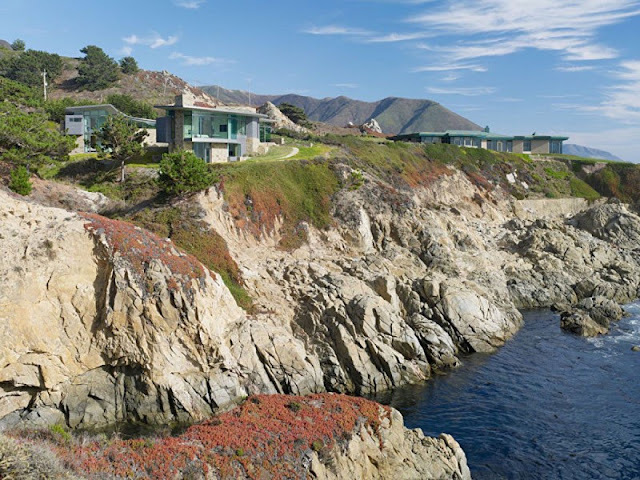 Designed by architects from Sagan Piechota Architecture this lovely cliff residence is offering beautiful mornings while waking up looking at the waves smashing on the rocks. 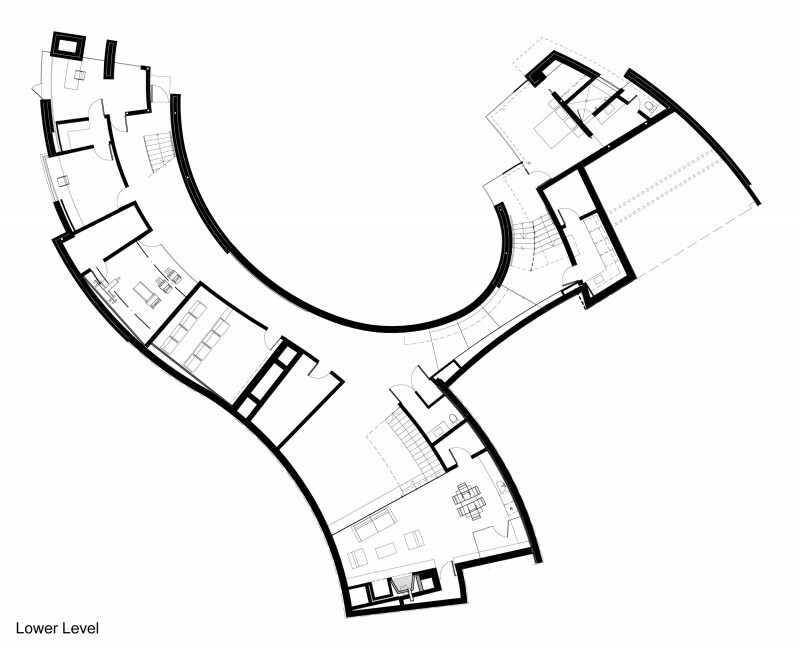 Unusual shape and interesting floor plans attracted our attention. 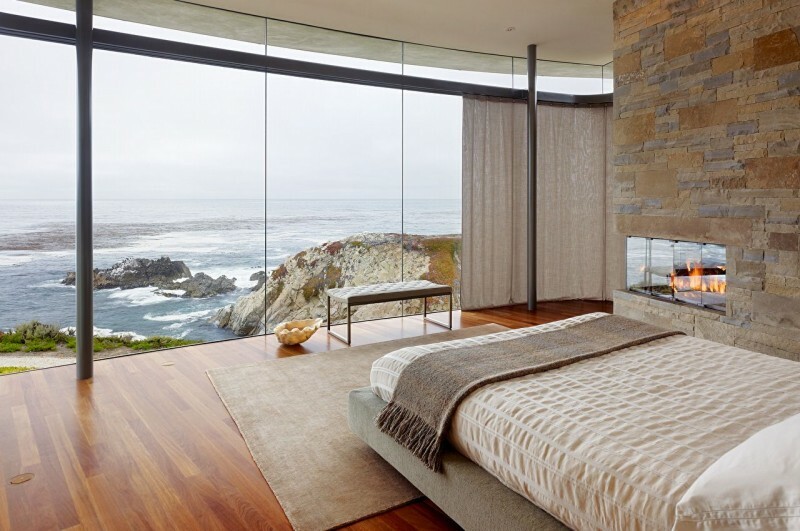 Since it's built on top of the cliff, views from bedroom and other parts will take your breath away. If you love ocean sights, of course. 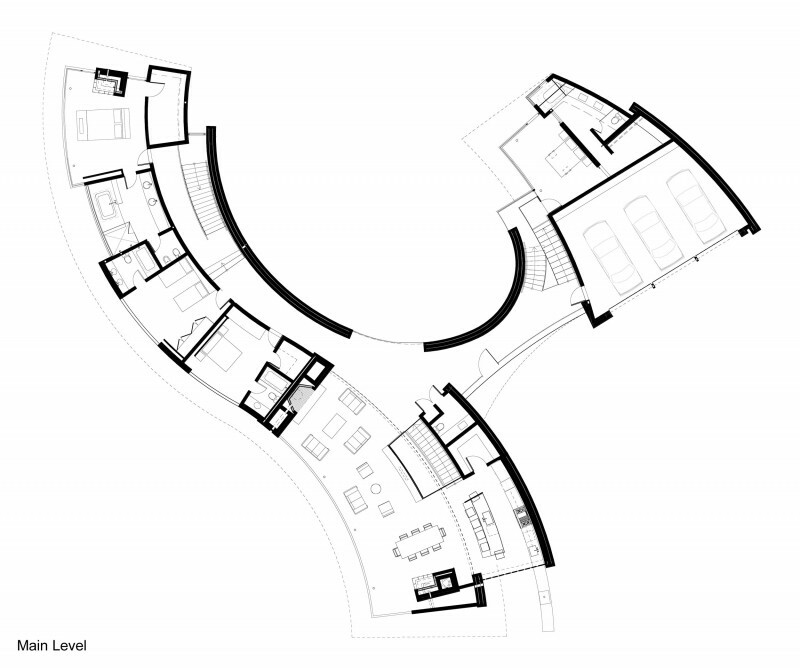 "The large area of the house was disguised by splitting the house into two wings — recessing the house into the site and locating nearly half of the space partially underground. 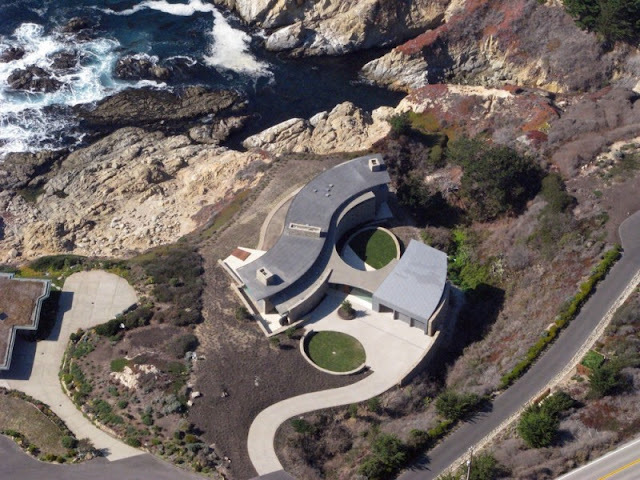 The plan-split created a courtyard, the eastern wing providing privacy from Highway One and the western wing buffering the ocean wind. 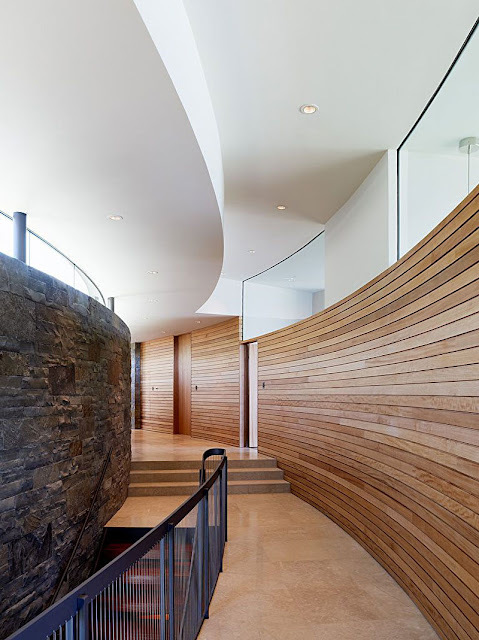 Secondary spaces are located on the lower floor and borrow light from above through three staircases. 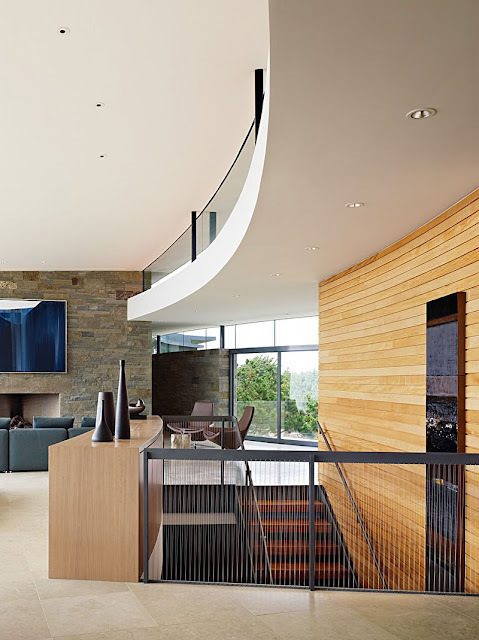 These spaces provide respite from the panoramic drama on the upper floor."